As the Hampton's season begins, the crowded parties are rendering transportation nearly impossible. Since the town prohibited official events during July 4th weekend, July 7th marked the official start to one of the busiest summers; with over nine food events taking place and dozens of charitable galas quickly selling out. Making my way to the July 7th Mission Society event was no easy feat as taxis were unavailable and Uber was not answering my desperate pleas. Finally, Uber arrived and charged me $150 for a ten minute trip from Southampton to Bridgehampton. Arriving at the beautiful home of Katrina and Don Peebles, where cocktails were served from the hours of 6:30-8:30 PM, the vast crowd comprised of photographers Patrick Mcmullan and Lenny Stucker who took their place among guests including: Maria and Ken Fishel, Randi Schatz, Jean Shafiroff, Robin Cofer, Ruth Miller, and Cassandra Seidenfeld. The weather had just settled down after an interminable period of rain, and guests were socializing enthusiastically as "cocktails and conversations" ensued. This year's host committee was comprised of Peggy and John Bader, B. Michael and Mark Anthony Edwards, Missy Kilroy and Jay Moorhead and Leah and Stanley Rumbough. The Rumboughs are the offspring of Dina Merrill and were still sanguine over her recent passing. Cole, her grandson, was tearful when he spoke of her beauty and recounted the moving memorial services that were held in her honor. 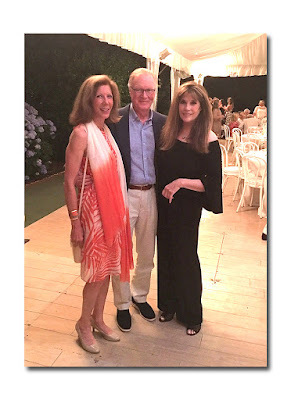 The Rumboughs and Dina Merrill have been actively involved in the Mission Society for decades and continue to support this pivotal organization. The New York City Mission Society has been in the frontline of the war on poverty for more than 200 years helping more than 13,000 underserved children through programs, supportive services and community events. This past year's Champion for Children's Gala, held in April at the Mandarin, was a great success with honorees Katrina and Don Peebles and Diahann Carroll wowing the crowd. Don Peebles is founder, and CEO of the Peebles Corporation, one of the few privately held real estate companies with projects in New York, Boston and Miami Beach. He and his wife, Katrina, donate generously to the YMCA, Women's Cancer League and the Congressional Black Caucus Foundation. 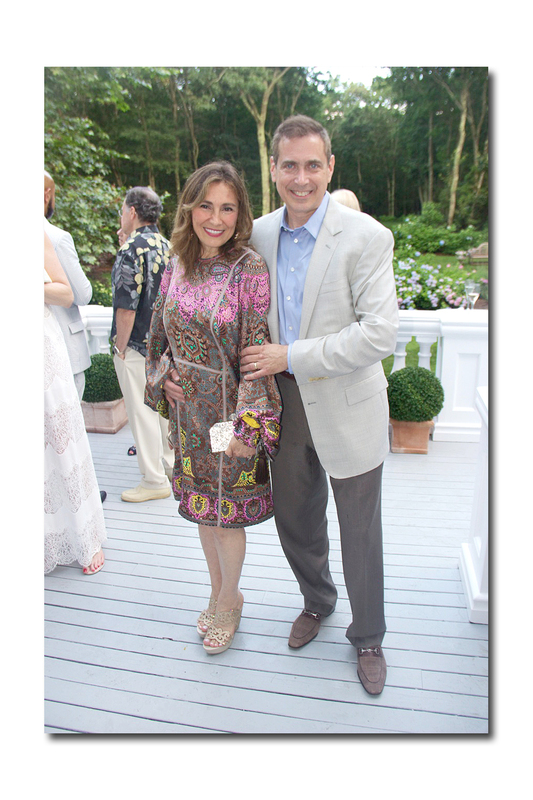 Tonight they were kind enough to open their lavish summer home for the benefit of the Mission Society. Katrina is a striking blond glamazon who had a successful marketing career and spoke movingly about the organization and how critical it is. Elsie McCabe Thompson, the head of the organization, also gave an informative speech highlighting the progress of the students and the new projects they would be embarking on. 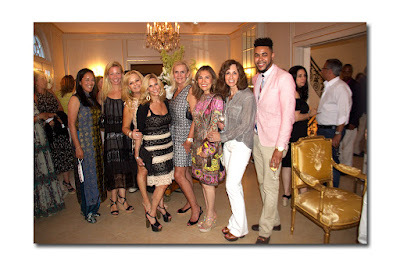 The event concluded with guests heading to Bilboquet in Sag Harbor to continue drinking and enjoying the festivities. The next evening Saturday July 8th, I participated in the Southampton Animal Shelter's Eighth Unconditional Love Gala" at a magnificent home on Gin Lane. The beachfront property was breathtaking, and the crowd this year was bigger than ever. This year's honorees were Jean Shafiroff and Sony Schotland both of whom have ensured the survival of thousands of animals who have been placed in this no-kill shelter - which is ranked among the top ten percent in the country. Jean in particular was instrumental in raising close to $4 million for the Shelter. Some of the Shelter's crucial initiatives are: maintaining the low cost spay neuter mobile van granted by the ASPCA, rescuing enslaved animals and caring for rescues within the shelter. Event chairmen included Andrea Greeven and Alex Douzet, Missy Hargraves, Antonella Bertello, Michael Katz, Marcy G. Warren, Mollie Ruprecht Acquavella and Ellen Scarborough. Regal emcee Chuck Scarborough, praised the honorees remarking that Jean Shafiroff increased fundraising fourfold since she became active in the shelter. Scarborough, is a phenomenal host and joked that Donald Trump tweeted a congratulations to the animal shelter at three this morning. While a number of Trump's billionaire friends such as Howard Lorber and John Catsimatidis attended the dinner Georgina Bloomberg was an unfortunate no-show. However, incoming and former Southampton mayor Michael Irving and Mark Epley, respectively, both attended as well as Representative Carolyn Maloney. There were also many dogs in the audience who were up for adoption and Scarborough spoke of the Shelter's program which trains them to be service dogs in order to give them a mission. 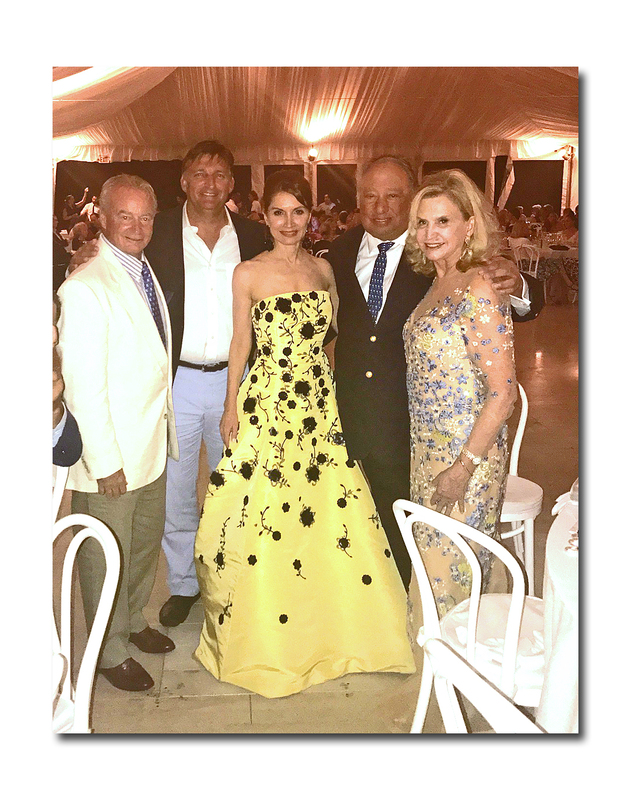 Jean Shafiroff, in a magnificent yellow and black Oscar de la Renta gown, similarly encouraged the audience to adopt and help these wonderful dogs. In order to help these beautiful animals, a public auction was held where Scarborough volunteered a private tour of the NBC studios and a Turks and Caicos trip and sapphire ring were auctioned for reasonable prices. Moreover, a cash call was held which raised $100,000 for the animals. In total, about 300 were in attendance including many notables and the event raised about $700,000. After a delectable vegetarian meal of cod and salad was served, Jonathan McCann, the founding board President since 2010, and newscaster Jill Rappaport, introduced us to a beautiful dog in need of a home. The guests then headed to the dance floor to work off the meal. A table was even set up to distribute cookies and bones to the animals - a nice conclusion to another perfect Hampton's evening.